Our Halloween show isn’t very spooky, but in this episode of the podcast we do share some Halloween stories and plenty of gameroom updates to get you in the spirit. If spooks and specters aren’t your cup of tea, then you’ll enjoy hearing about some of the cool new things we found on the interwebs. We cover everything from a cool Pong watch instructable to Vec9, a homebrew Soviet-era vector arcade game. 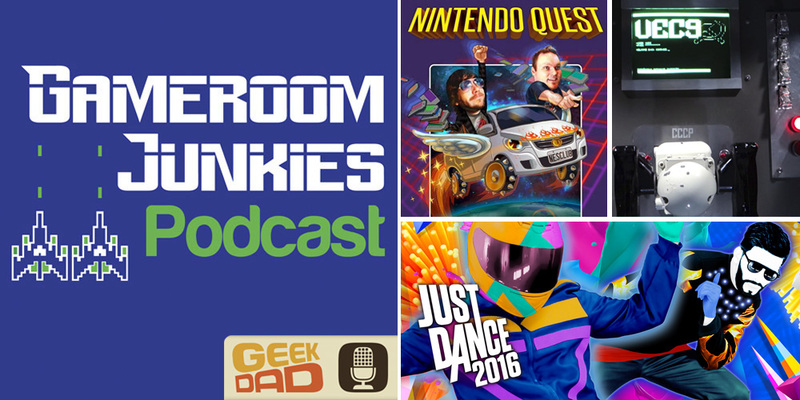 Later in the show we share our own “arcade confessions” in solidarity with other arcade enthusiasts on KLOV.com, plus Preston talks about his experience trying out the newly-released Just Dance 2016! Speaking of reviews, Preston goes on to share his thoughts about the new video game documentary Nintendo Quest, which prompts a discussion about several other video game-focused documentaries which neither of us have ever heard about. This is a shorter episode (if you can call an hour “short”), but filled with fun chatter about the things we love. Hope you enjoy!